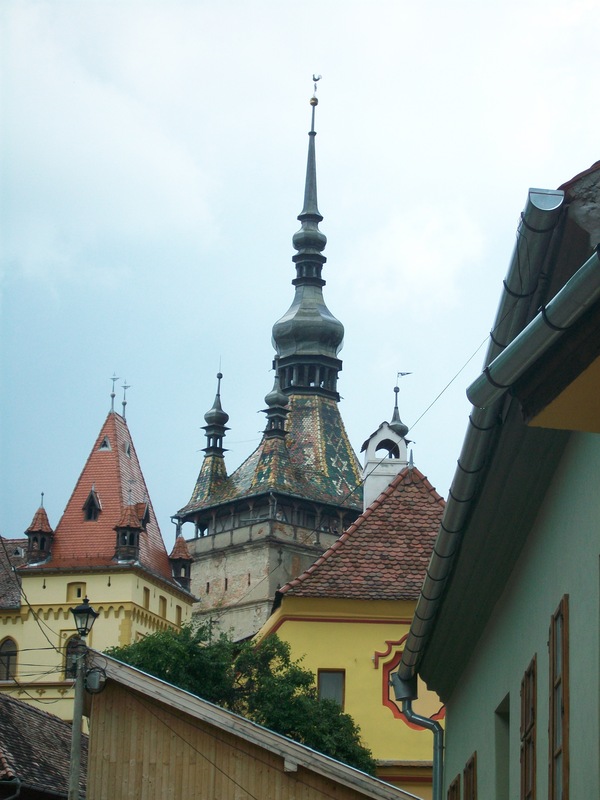 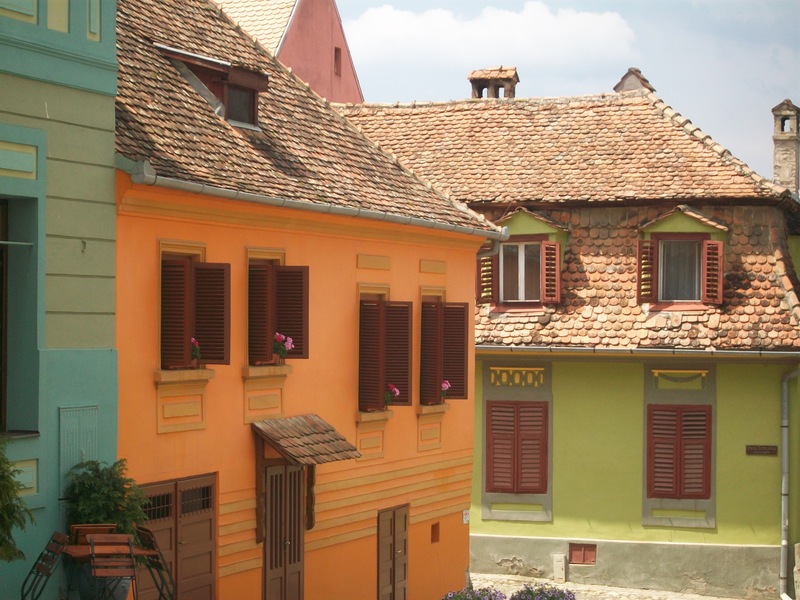 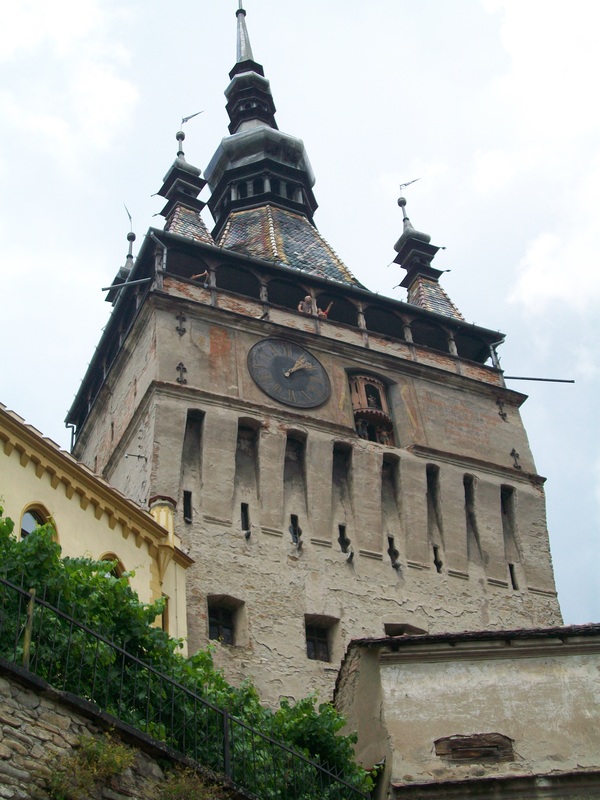 The Clock Tower is the emblem of the medieval town of Sighisoara. 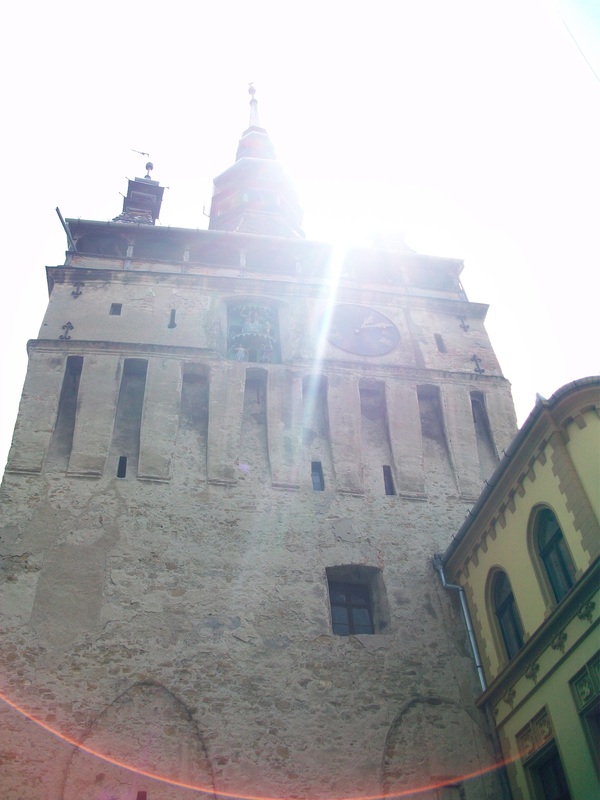 It contains a museum of the history of the city, which you visit on your way up to the balcony. 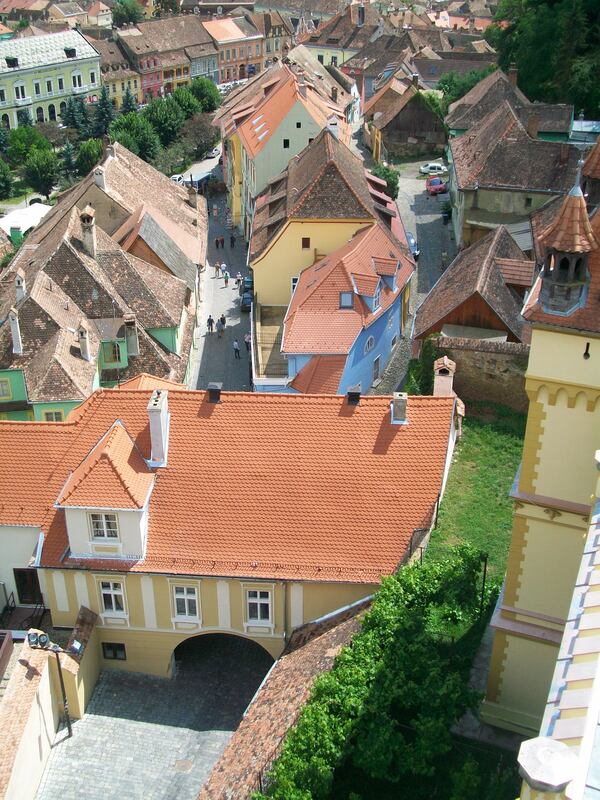 From there you get a great view of the red-tiled roof tops of the old houses and the lush-green area surrounding the town. 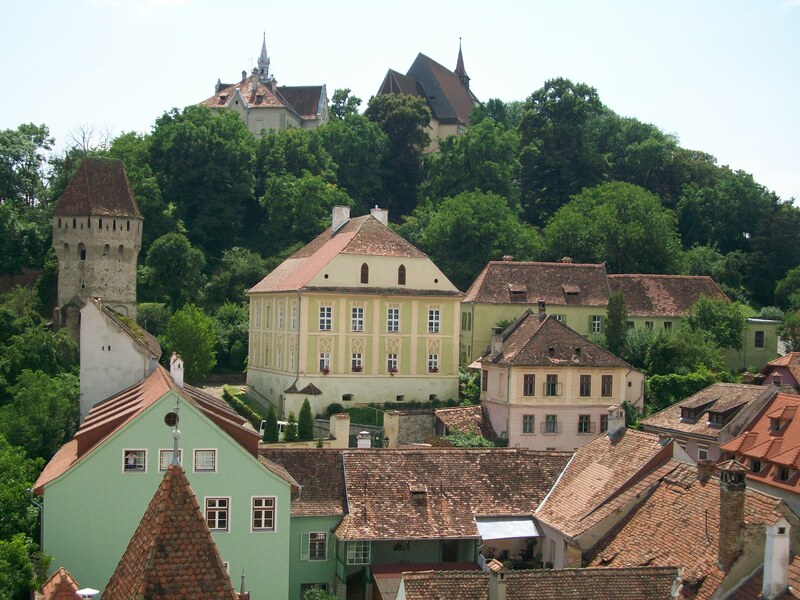 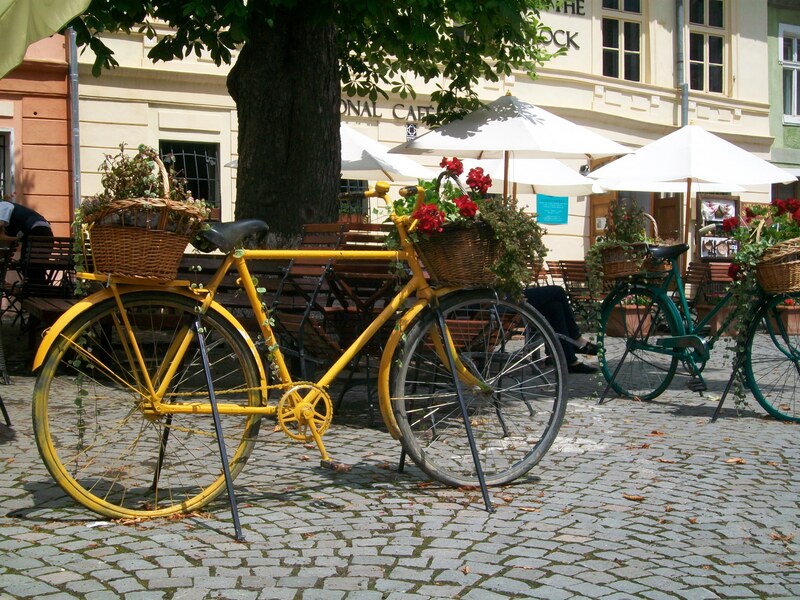 What makes this medieval town special, is that besides being a great tourist attraction: historical, mythical, quaint and colorful, it is alive, zooming with people who call it their home.